Only a little drawing time today, so I had to drop my original plans (Saber from Fate) and go with something quick. 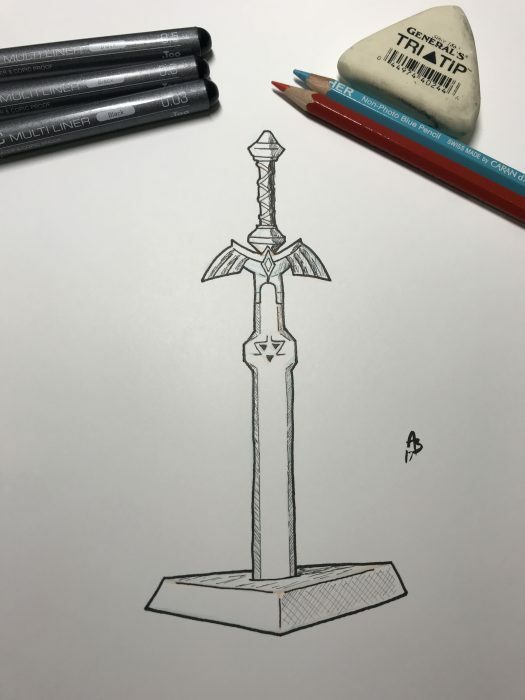 I don’t like how the Master Sword turned out, but it is what it is. At least I’m still consistently getting a drawing done each day, even if the quality isn’t at the level I’d like.